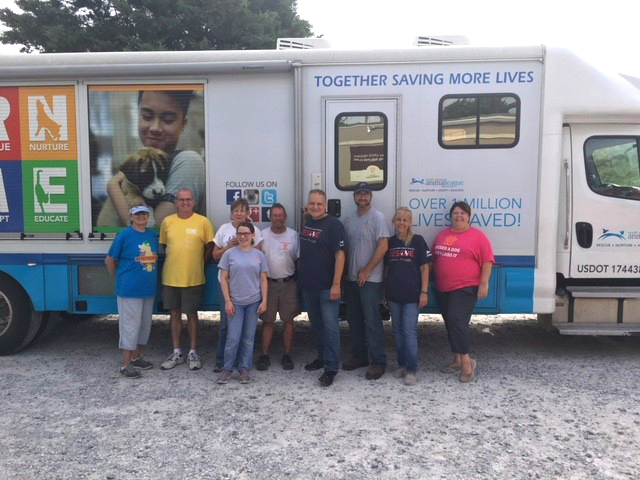 As the Florida Panhandle recovers from the devastation caused by the record-breaking winds and flooding of Hurricane Michael, our Emergency Rescue Team headed south – equipped with a Mobile Rescue Unit stocked with food, water, litter, and essential supplies to aid the people and animals left in the storm’s unforgiving wake. 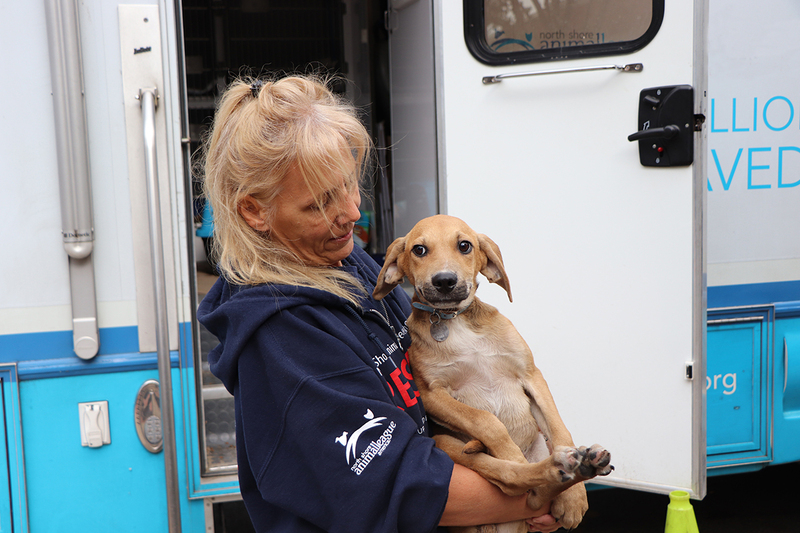 One week later, that same climate-controlled mobile unit returned to our no-kill campus filled with more than 50 deserving dogs, cats, puppies, and kittens who were all lucky enough to make it through the unforgiving storm. 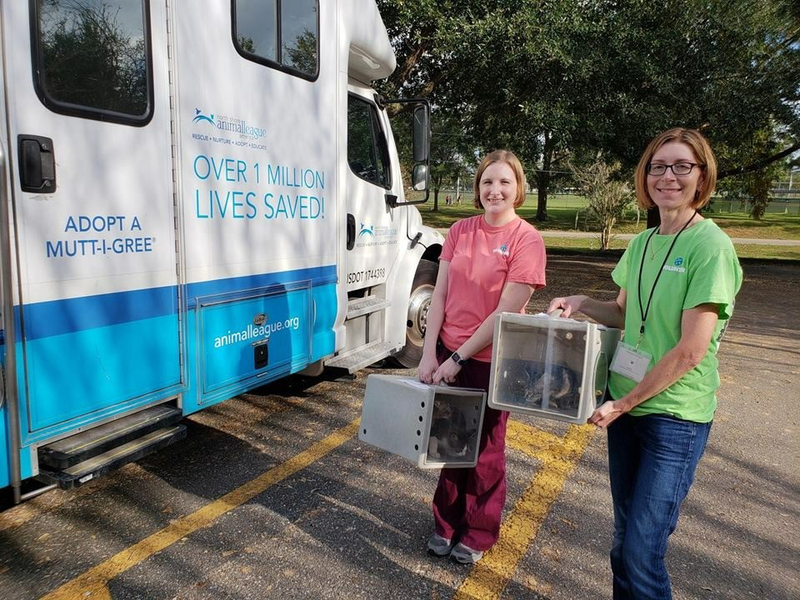 The first stop for the Rescue Team during its lifesaving trip was at Pensacola Humane Society to drop off essential supplies that will prove invaluable during the recovery process. 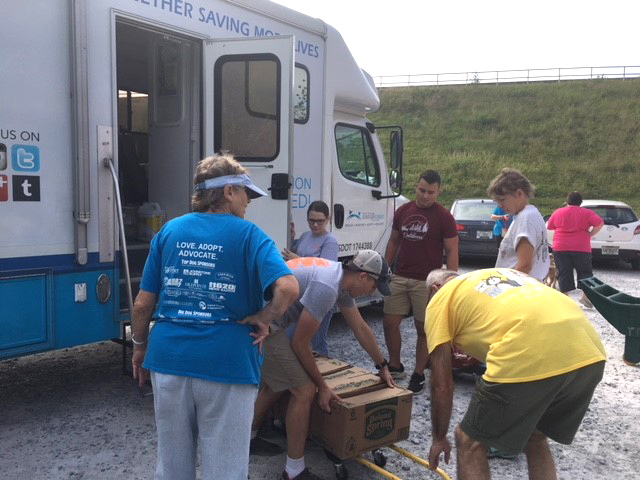 Their organization escaped the storm with minimal damage to their building and were able to move most of the animals out of harm’s way, however they were in desperate need of supplies and fresh water. 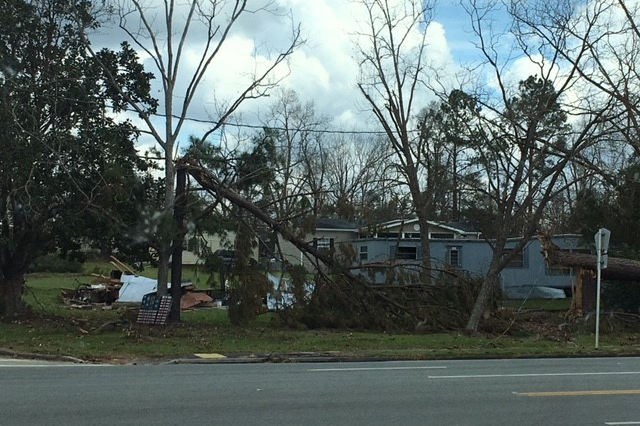 Darra Flanagan, Events Coordinator at PHS, said other shelters and rescue groups in the surrounding areas were not as fortunate. 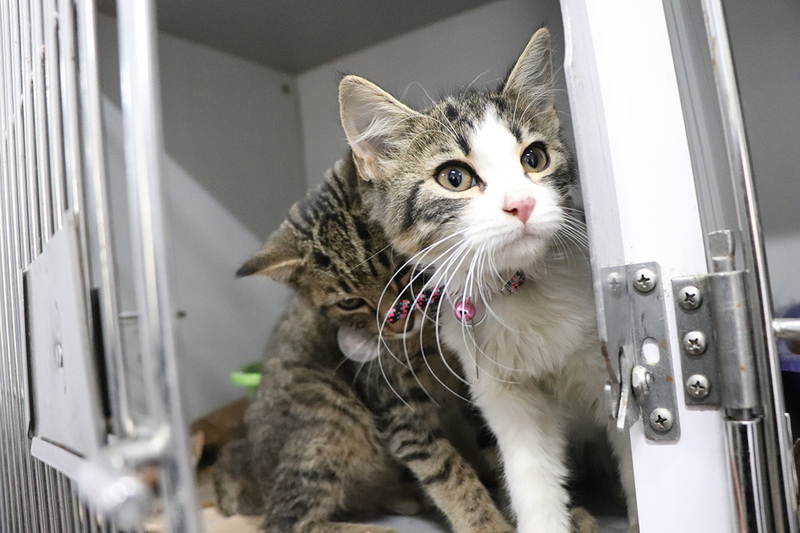 The next stop on their lifesaving journey south was at Tallahassee Animal Services, where they too were in desperate need of our help. 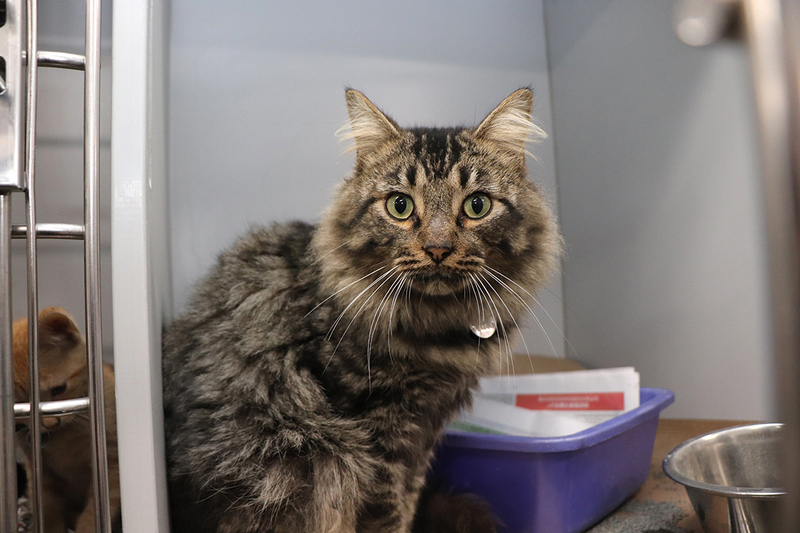 With their shelter nearing maximum capacity, they asked if we could take some of their animals in order to make room for others who were separated from their families and left outside during the storm. 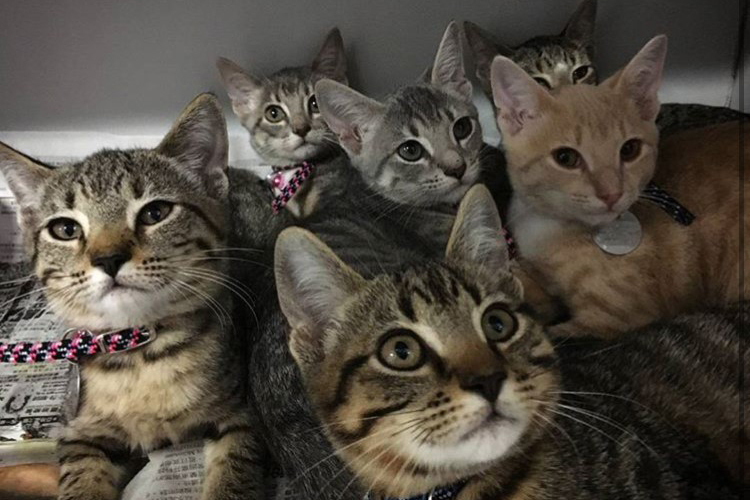 Although their organization was fortunate enough to have other local rescue groups take all of their dogs before the storm touched down, they were still providing care for 25 felines who had nowhere else to go. 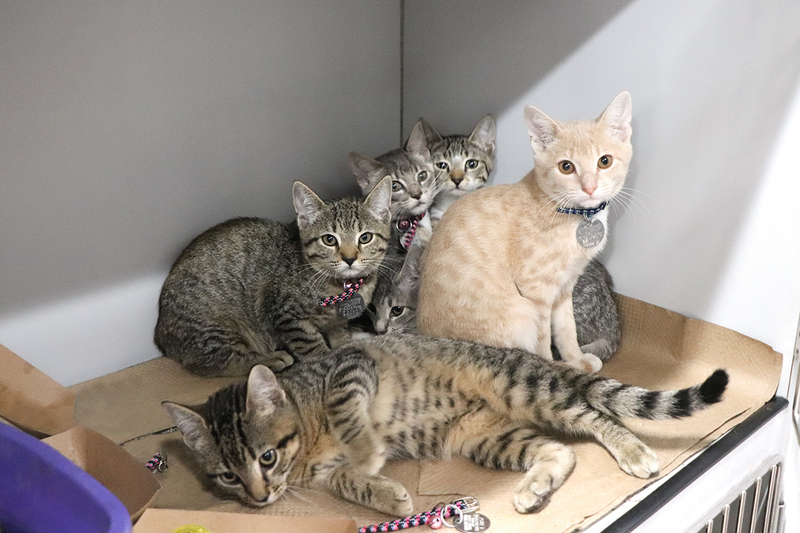 All of those lucky cats and kittens, ranging from three to six month of age, were carefully placed aboard our mobile unit and transported to the safety of our Adoption Center in Port Washington, N.Y. 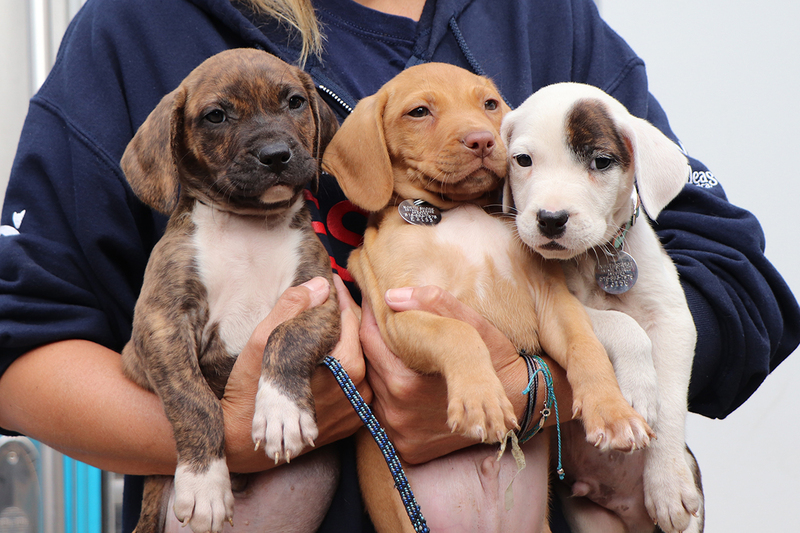 Please help us continue our rescue relief efforts with a donation today. 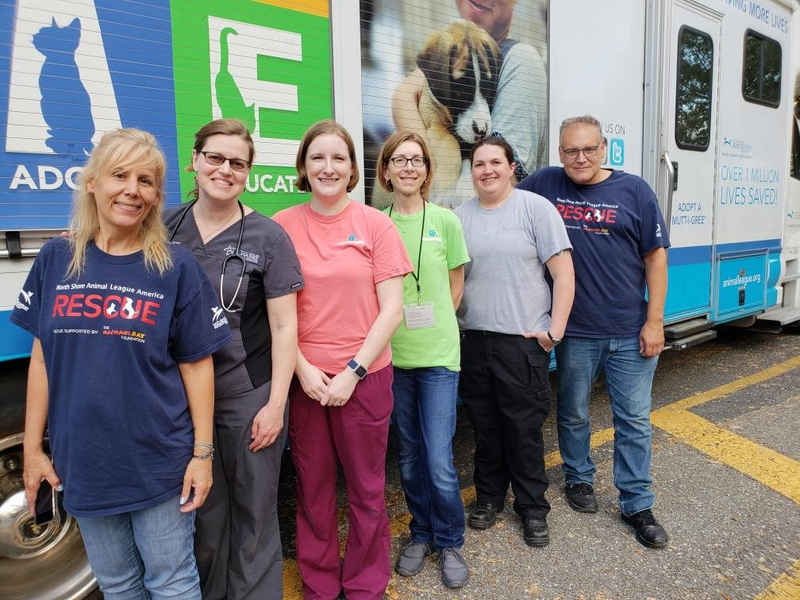 After exhausting most of our resources and providing as much assistance as we could in Florida, our Rescue Team made one final stop at Lakeside Animal Rescue in South Carolina before heading back to New York. 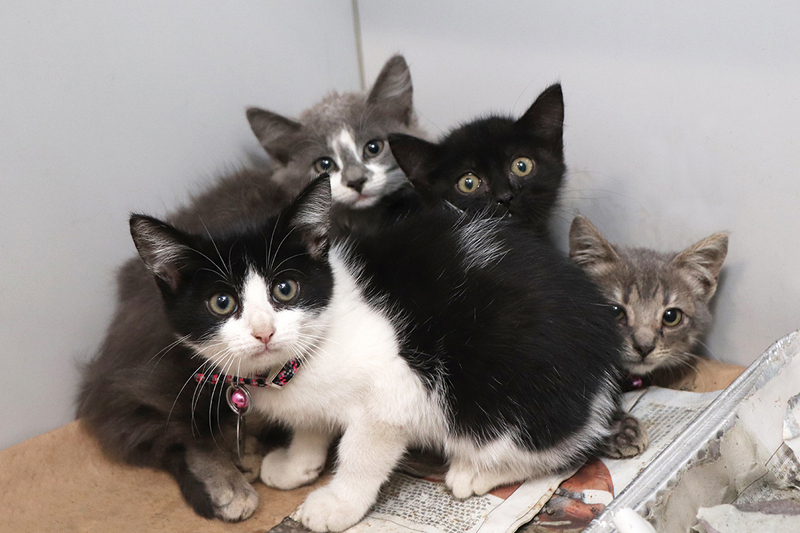 Their shelter in Orangeburg was still inundated with homeless animals from Hurricane Florence, and suffered even more damage when Hurricane Michael struck. 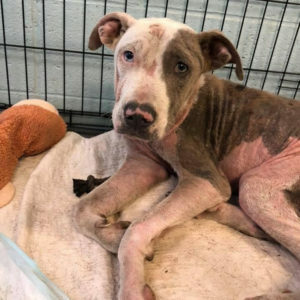 They asked if we had the space for 25 more puppies and dogs, including an 8-month-old Pittie mix named Brodie, who was suffering from a broken leg and severe case of demodectic mange. 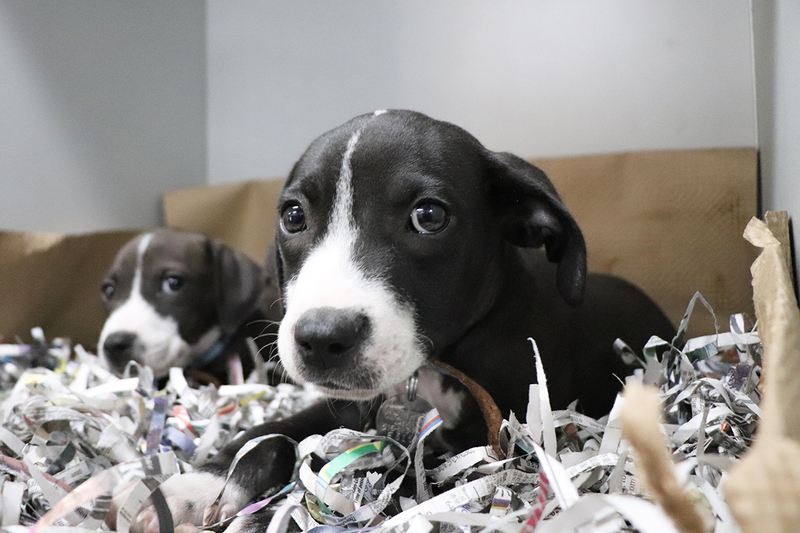 Now in the nurturing care of our shelter team and veterinary staff, all 50 of these animals will receive everything they need to be ready for the day when they can find responsible, loving homes to call their own. 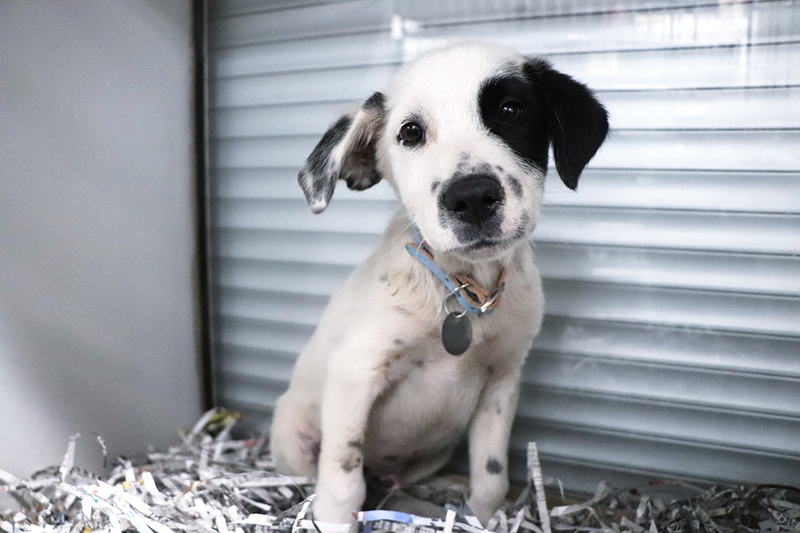 Any animals like Brodie, who will need extensive medical care before being deemed ready for adoption, will be provided with the 24-hour, individualized care they need to make a complete recovery. 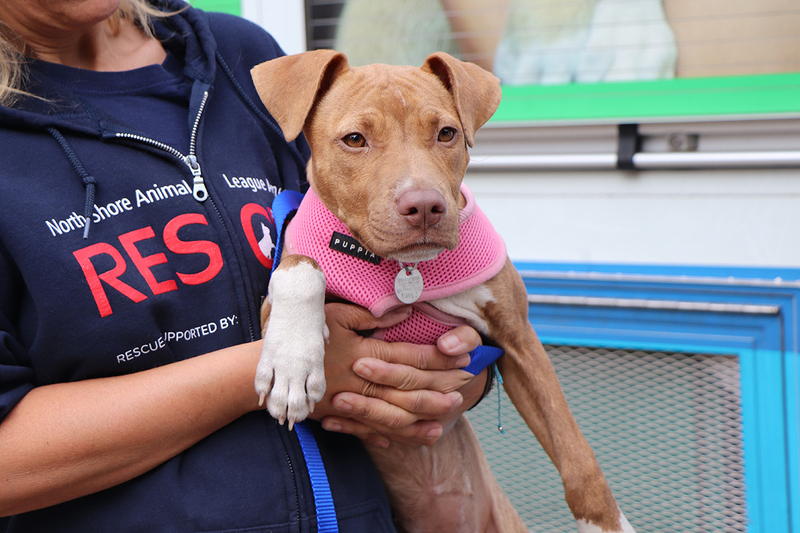 Our goal is to ensure that every dog, cat, puppy, and kitten on this lifesaving transport not only feels cherished during their time with us, but for the rest of their lives in the arms of adopters who adore them. With your generous support, we can continue to reach well beyond that goal for years to come. Please donate today! 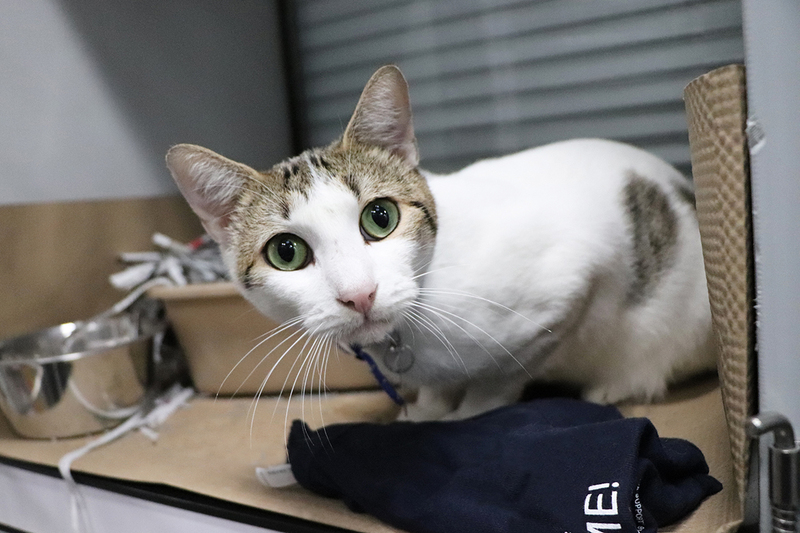 Many of our partner shelters have been dealing with the aftermath caused by the recent Hurricanes Michael and Florence, including rescuing and taking in animals that found themselves displaced from their loved ones. Below is a listing of shelters that can use your support. Some have Amazon Wishlists where you can order items and send supplies directly to the areas in need.